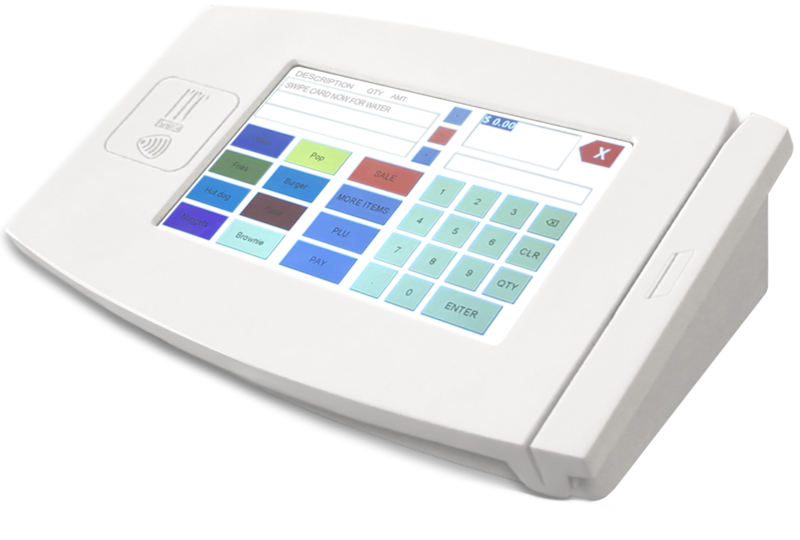 A sleek multipurpose control terminal with an intuitive touchscreen interface capable of charging for copy and print release, tracking attendance or small footprint POS. The netZtouch QBX 7800 has a 7.5” Color LCD touch screen and comes equipped with a magnetic swipe, contactless, or barcode card reader for authentication purposes. Communication security is enhanced with SSL certification over the network. 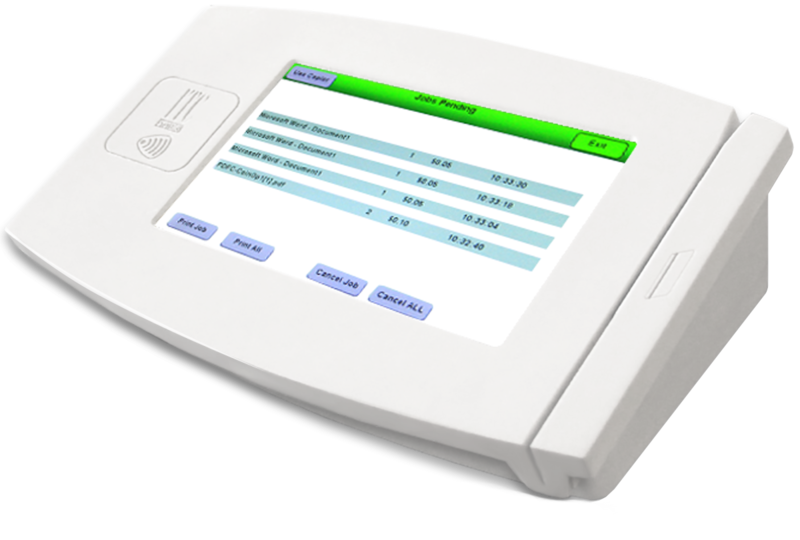 The netZtouch is an online, touch screen, print release and copier controller terminal. 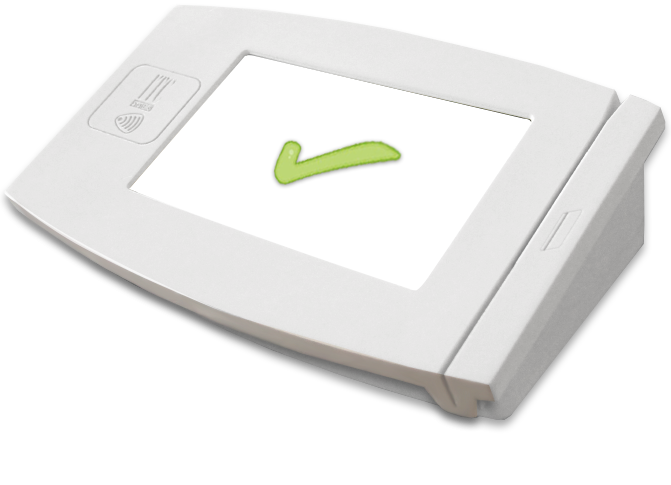 Works with GoPrint built-in or PaperCut. Great for those smaller venues that do not require a full fledged POS or Cash Register. Checks credentials to authorize for attendance using all types of cards. It will display a ”✔” for valid authorization and a ”✘” for an invalid authorization. All authorized attendance is recorded in netZcore’s backend database.